NEWER ALL BRICK HOME ON OVER 1/2 ACRE OF LAND WITH NO HOA FEES. HOME IS MOVE IN READY, NEW PAINT, NEW CARPET, NEW ROOF, PRIVACY FENCED BACK YARD WITH COVERED STORAGE FOR SMALL BOAT OR CAMPER. MASTER FEATURES TREY CEILING AND HUGE WALK IN CLOSET. THIS IS A MUST SEE IF YOU WANT A LARGE YARD FOR YOUR PETS AND TOYS. 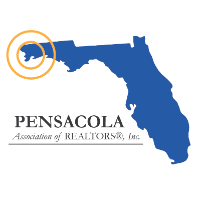 I am interested in 5420 Bradley St, Pensacola, FL 32526 (Listing ID # 551058).